Hi Tech Cleaning Services, provide excellent window cleaning services to the Horndean area. Our window washing services are offered to both domestic and commercial properties. Based at Brampton Lane in Portsmouth, Hi Tech Cleaning Services provides exceptional cleaning standards to clients in and around Portsmouth. Established in 2010, we have cleaned thousands of windows, supported by local residents and companies big and small acheiving many happy returning customers. We have worked with some really awesome businesses working in many different sectors, including: engineering, building services, entertainment and automotive repairs. Whether you are looking for a new window cleaner or just a quote, we can help! 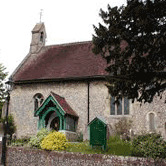 Bedhampton is a former village, and now suburb, located in the Borough of Havant, Hampshire, England. 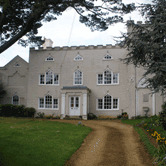 It is located at the northern end of Langstone Harbour and at the foot of the eastern end of Portsdown Hill. 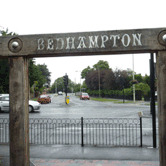 Early mentions of Bedhampton stretch back to the ninth century, and the village was mentioned in the Domesday Book. 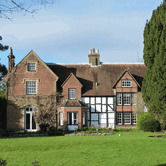 The Bedhampton Historical Collection is housed in The Elms and has many artefacts and information about Bedhampton. Modern Bedhampton has a railway station, with regular services to Portsmouth, Brighton, and London, and less frequent services to Southampton, Bristol, and South Wales. The A27 and the A3(M) pass through the south-west part of Bedhampton.